Braintree is one of the ten largest towns in Essex and is best known for its designer outlet village, Freeport, which attracts many thousands of visitors a year. It is a lively town with not only Freeport’s shops and restaurants serving the town’s population and visitors, but the centre is also home to several pubs, bars and takeaway establishments. And, with so much competition in the area, restaurant, café owners and publicans realise the importance of maintaining the highest standards of cleanliness and, of course, ensuring their premises are kept pest free. One way business owners in the food industry can be certain of maintaining year round pest control in Braintree, is by taking out a commercial contract with Essex and Suffolk Pest Solutions. Our ongoing contracts spreads the cost throughout the year and covers a full range of services including free site visits and recommendations, full reports after each visit, insect identification, and free callouts for all pests covered under the contract. We offer a friendly and discreet service and are happy to turn up to premises in unmarked vans on request. At Essex and Suffolk Pest Solutions we cover all pests in Braintree and the surrounding area including wasps, flies, rats, mice, pigeons, squirrels, ants, cockroaches, fleas and bedbugs. So whether you need pest extermination services in Braintree, Coggeshall, Gosfield, Halstead, Great Notley, Great Dunmow, Witham, Marks Tey, Chelmsford, Colchester, or anywhere else in Essex, our experienced pest control team can help. Pest Control Braintree – Click on the link to find out how Essex and Suffolk Pest Solutions can help eliminate pests in domestic and commercial buildings. Braintree, which lies on the River Brain, is just 15 miles from Essex’s county town of Chelmsford and 10 miles from Colchester. From the 14th century, for the next 400 years, it was an important wool town and reached the height of its fame from the 17th century onwards. In the 19th century, silk took over as the principal trade and the history of the cloth trade is charted in the town’s museum. Fast forward to the present day and Braintree is now a shoppers’ paradise with more than 80 stores in Freeport selling anything from designer clothes to footwear and homeware at knock down prices. And, as a result, its restaurants and cafés become a welcome retreat after a day’s shopping. Our Essex based technicians get callouts to treat pests in both domestic and commercial buildings throughout Braintree. 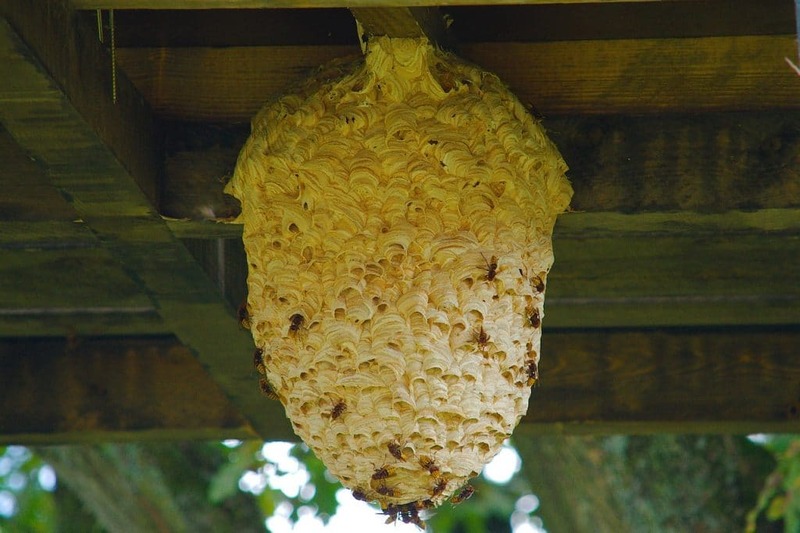 Among the most recent domestic callouts were to tackle wasp nest removals and cat fleas. Read on to find out what our customers have said about us in the area. If you are plagued by pests in the area, here at Essex and Suffolk Pest Solutions we provide a reliable, effective and professional pest elimination and eradication service for homes and businesses. This includes restaurants, shops, hotels, cafés, bars, night clubs, supermarkets, warehouses, pet related businesses and blocks of flats. For more information, and to find out about our pest control services in Braintree, just click on the link above.